The following vignette was provided by the author of Murder on Old Mission, Stephen Lewis. Lewis is currently crafting the sequel to that well-received novel. Expected publication is early 2016. 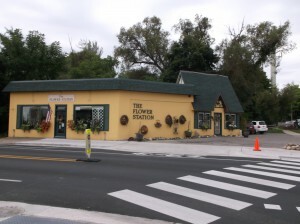 Murder on Old Mission is currently available at local booksellers and at Amazon.com. 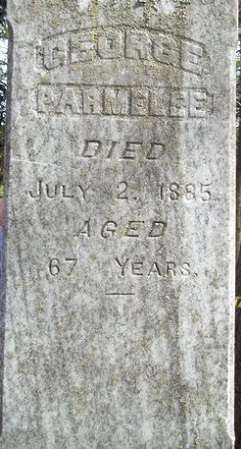 Headstone of George Parmelee, father of Woodruff, placed at Lakeside Cemetery on Old Mission Peninsula. In 1895, Woodruff Parmelee, the scion of a major Old Mission Peninsula farming family, was sentenced to life imprisonment in solitary confinement for the murder of Julia Curtis, his pregnant girlfriend. 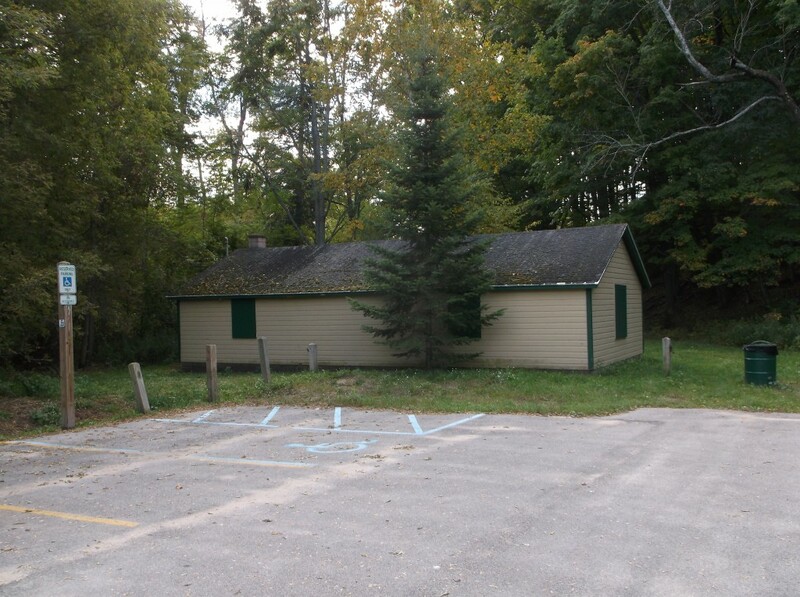 Julia’s body was found at the base of Old Mission Peninsula in an area near East Bay that was called the hemlock swamp. By modern standards, the prosecution’s case against Woodruff was well short of solid. It depended upon the questionable forensic evidence of footprints found near the body, which may or may not have been Woodruff’s, but could equally well have been those of any of the thirty or forty men who were searching for her. There was also the eyewitness testimony of a hired hand named Stagg who had a history of perjury and who offered to leave the area if he were paid enough. 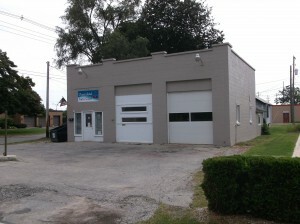 Parmelee’s defense was built on an alibi. He could not have killed Julia, he claimed, because at the very time she went missing, he was working on a new road on the other side of the Peninsula heading toward West Bay. 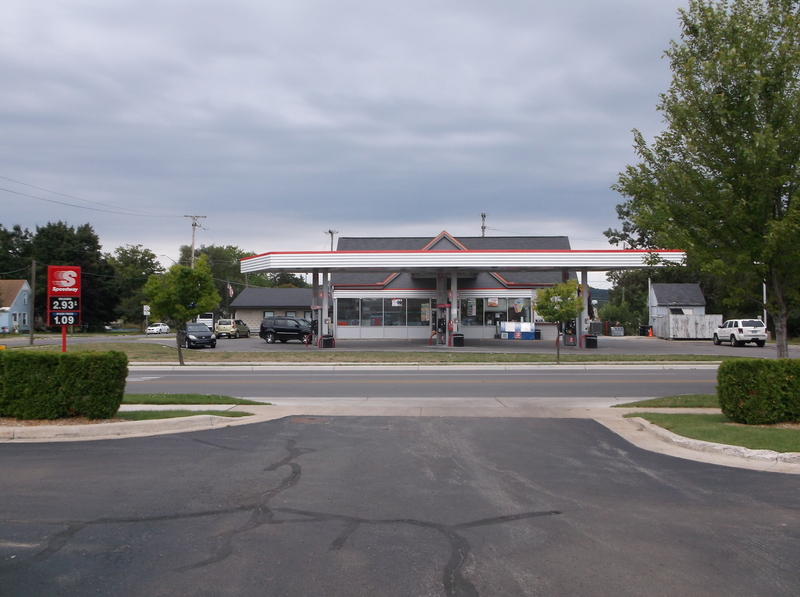 The prosecutor’s witness testified that he had seen Parmelee heading east, away from that new road. Parmelee said, no, he was going the other way. Clearly this difference is crucial. 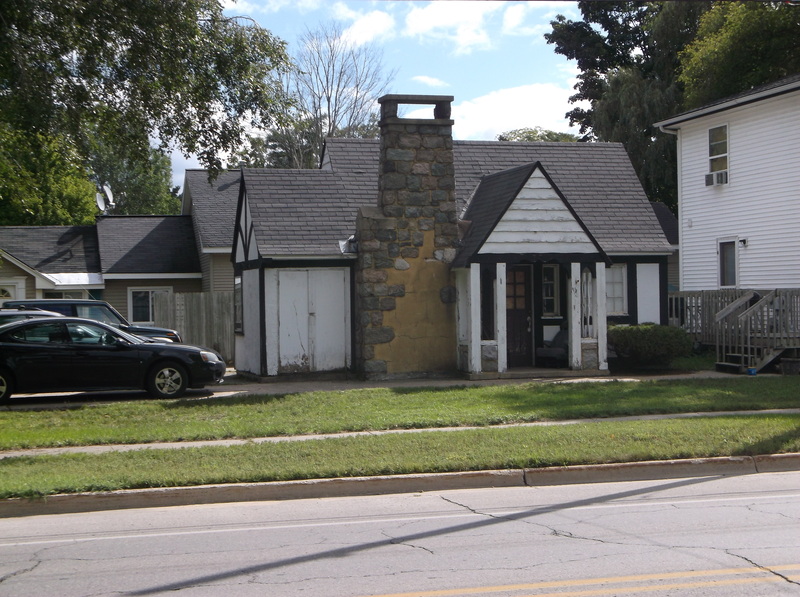 If Parmelee could prove his version, it would establish his alibi, and he would have to be acquitted. He could not be in two places at the same time. Receiving scant attention in the detailed newspaper reports of the trial was the testimony of Parmelee’s son Louis who supported his father’s alibi. He stated that when he went to join his father working on the road, he met his father coming from the west. The testimony of both witnesses was less than convincing: Stagg’s character is at issue as is Louis’s assumed filial attachment to his father. If we say that their testimony cancelled each other out, not much besides the footprint evidence remains of the prosecutor’s case. Nonetheless, Parmelee was convicted. In all probability, the unstated basis for his conviction was his troubled marital history, including two failed marriages, and the fact that he was twice the age of Julia. This is the story I fictionalize in Murder On Old Mission. In my version, I focus fully on the testimony of the son. By changing some facts and adding others, I intensify the son’s situation. That book’s penultimate chapter takes the story to Parmelee’s conviction. Its very last chapter provides the bridge to the sequel I am now writing. That chapter jumps twenty years ahead when Parmelee, in spite of his sentence, is again a free man, returning to Traverse City where he is reunited with his son. My sequel intends to fill in what happened between conviction and release. Parmelee was convicted of a most heinous crime. 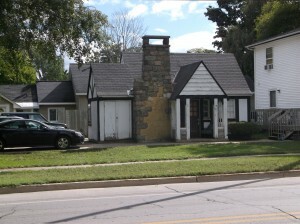 His sentence reflected the severity of the community’s judgment. If capital punishment had been available, Parmelee would have been a candidate for execution. Yet, not only did he not serve his life sentence, he was released, and in fact lived another twenty-seven years, almost outliving Louis, who died shortly after him. 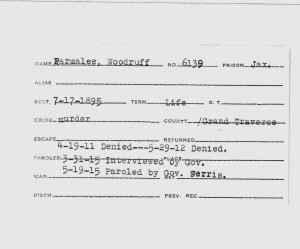 Index card from Jackson State Prison, indicating the intervention of Governor Ferris, on behalf of Woodruff Parmelee. Image courtesy of Stephen Lewis. 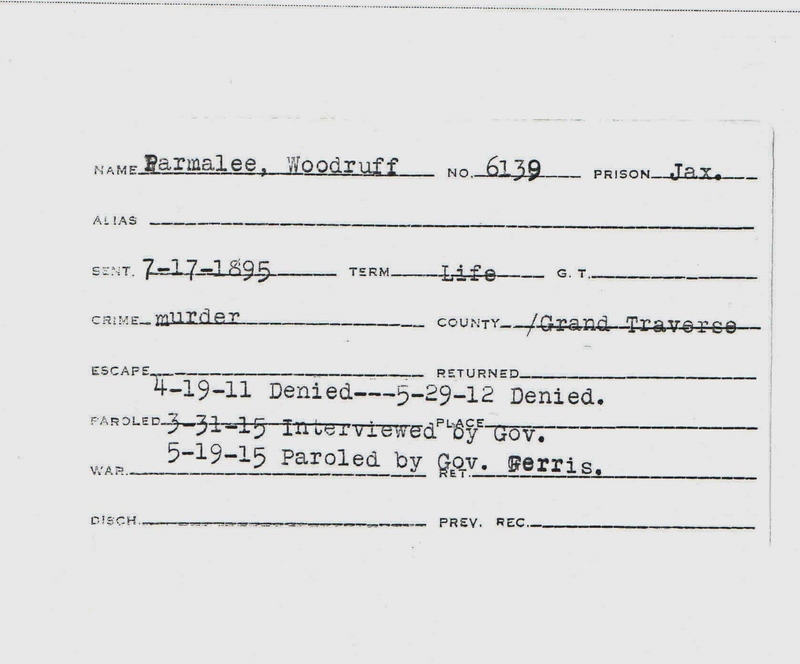 There is one salient fact that explains Parmelee’s release: the intervention of Governor Woodbridge Ferris, who interviewed Parmelee in Jackson State Prison immediately prior to Parmelee being paroled. My research as to why this extraordinary intervention occurred has come up empty. Why the governor should have picked Parmelee out of all the prisoners in Jackson at that time for his personal assistance remains a mystery. And that provides me the opportunity of creating fictional circumstances to fill that void. 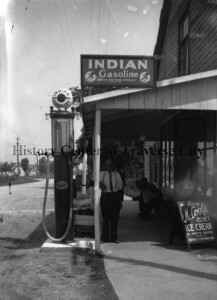 As I did in Murder On Old Mission, I am building on the historical facts, but this time, as well, I am constrained by the fictional facts I created in the first book. That is an interesting challenge. Reminiscent of Arthur Miller’s work, The Crucible, Murder on Old Mission is a fictionalized account of a true crime that took place on Old Mission Peninsula. Although we modern readers might associate the Peninsula with breathtaking views and wineries, author Stephen Lewis deftly realizes the relative isolation of that region in the late 19th century, which would, on occasion, encourage intense interpersonal relationships to compensate. Readers are invited to see both sides of that coin, in the passionate relations between Sam Logan and Margaret Cutter and in the unexpectedly adversarial relationship between Sam and his son, Isaiah. Highly descriptive and full of rich conversations, this is the type of book wherein the scene can play out in your imagination as a movie would. A drama of the highest order, and well worth a sequel, which I eagerly anticipate. Isaiah adjusted his sailor’s gait to the flat surface of the road leading to the church. Everything else was eerily familiar. 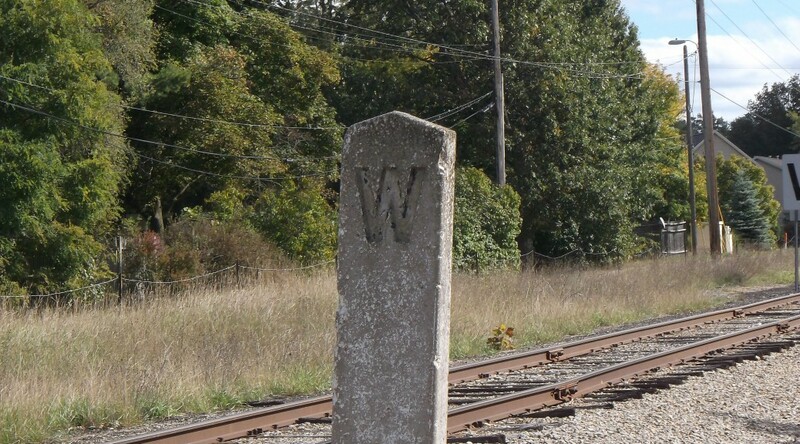 It had been five years since he walked up this road on the day that began to change his life. But the road itself, inanimate and without memory, just lay insensate beneath his shoes. Somehow he had thought that the dust rising beneath his feet would carry with it echoes of that day, perhaps a word, a sigh forced out between clenched teeth, an image of a face drawn in pain, a tear trickling down a man’s unshaven cheek or finding a path along the worn furrows of a woman’s face, and above all a pervasive black of mourning. On this morning to be sure, the shadow of death argued against the bright rays of the sun this late spring day. But this time, death’s face wore a bemused grin, a weary acknowledgement that the deceased had simply run his appointed course and it was time for him to be gathered into the ground. In that respect, this occasion could not have been more different than that one five years ago when a person in full bloom had been cut down. The handle of the church door felt the same as it did that day when he had grasped it with a hand warm and wet from sweat, his lungs gasping for air. And the hinges squeaked just as they did then. 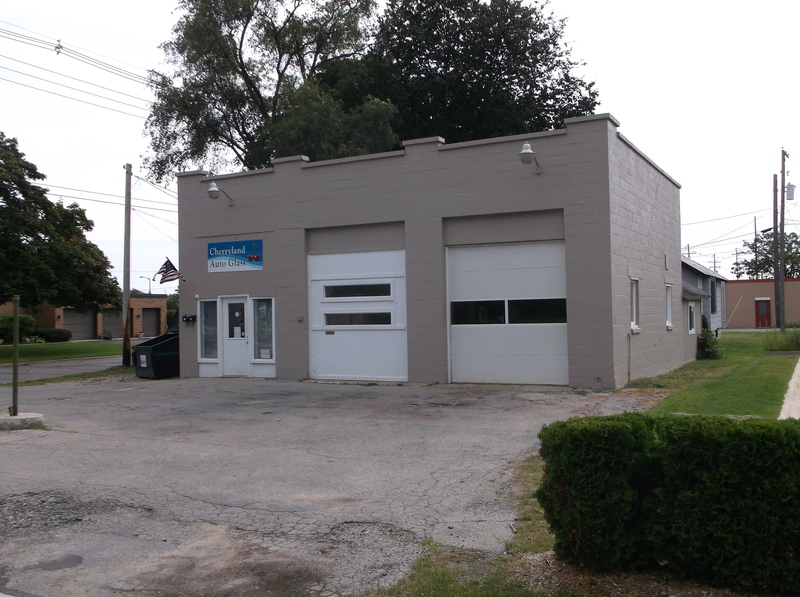 On that day, when he pushed the door open ever so slowly to minimize the disturbance of the squeaking hinges, he was confronted by an empty building. He was too late. Through the rear door, he could see the mourners gathered around the freshly dug grave into which the woman he loved would be interred, and standing, ashen faced, among the mourners was his father soon to be convicted of putting her there. Today, however, the congregants were all in their seats. He stood for a moment at the rear of the church. He expected heads to turn around to gaze at him in response to the loud squeaking of the door on its hinges but none had. He had tried to prepare himself for that eventuality, but had not come up with a suitable response. Several people did now, belatedly, turn in his direction, but then swiveled their heads back toward the front of the building. Perhaps, he figured, they had not recognized him. It had been, after all, some years. Stephen Lewis, novelist, with furry friend. Born and raised in the Flatbush section of Brooklyn, Stephen Lewis holds a doctorate in American Literature from New York University, and he is Professor of English Emeritus at Suffolk Community College, on Long Island, New York. He now lives with his wife on five acres in a restored farmhouse on Old Mission Peninsula in northern lower Michigan. After having written The Monkey Rope (1990), and And Baby Makes None (1991) two mysteries set in Brooklyn and published by Walker & Company, Lewis turned his attention to a different time and place, New England in the seventeenth century, for Mysteries of Colonial Times. The stories set in Brooklyn dipped into Lewis’s childhood, while this second series, written for Berkley, drew upon his expertise as a scholar of New England Puritanism. The Dumb Shall Sing, the first of this series was published August, 1999, followed by The Blind in Darkness in May, 2000, and The Sea Hath Spoken January, 2001. 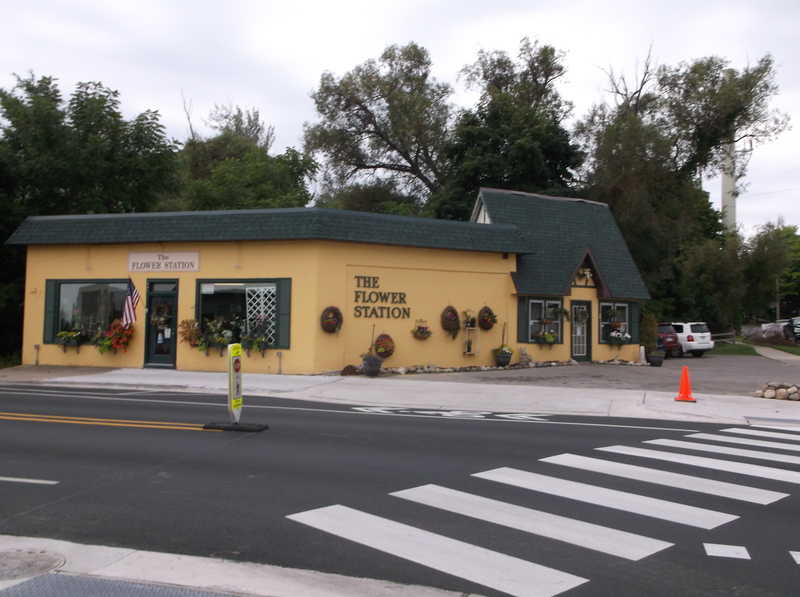 Murder On Old Mission, put out in 2005 by Arbutus Press, was a finalist in the historical fiction category of ForeWord Magazine’s book of the year awards. 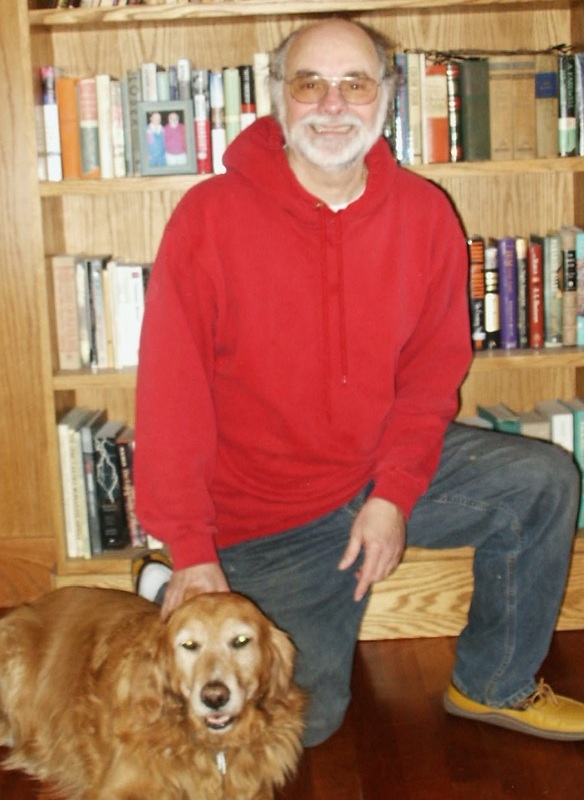 His mystery novel, Stone Cold Dead, was submitted by Arbutus to the 2007 Edgars. Belgrave House recently published A Suspicion of Witchcraft, his first ebook original novel. Before turning to mystery fiction, Lewis published short stories, poetry, scholarly articles, and five college textbooks, including Philosophy: An Introduction Through Literature (with Lowell Kleiman, Paragon House, 1992) which is still being used in a number of colleges. This past December, Broadview Press, a Canadian independent, published Templates, a sentence level rhetoric that relates syntax to computer templates. He continues working in various fiction genres. 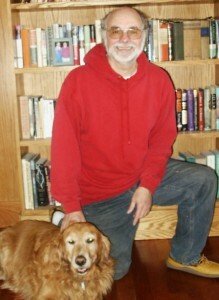 His more recent short story publications include “The Visit,” a literary short story in The Chariton Review, “Eagles Rising,” a mystery story in Palo Alto Review, “A Foolish Son,” a historical story published online in the Copperfield Review, and “The King Knew Her Not,” in Green Hills Literary Lantern. Our readers are simply brilliant! Thanks, Rebecca and Robert! A naturalist must cope with whatever Nature deals out. Once when I took a course in invertebrates, I had to walk through shallow, warm ponds in the middle of summer, an action that would surely attract leeches (known by some as bloodsuckers). Sure enough, after traipsing through one particularly muddy body of water, I looked down to discover that one had attached to my leg. It was not only attached, but was apparently feeding: it wouldn’t let go. When one’s life blood is being sucked out by a predator, one does not always behave rationally. Not entertaining the notion of spraying an offensive chemical on the animal so it would let go on its own, I used my fingernails to scrape it off. Not a good idea. The wound bled and bled, taking twenty minutes or so to stop. Thus, I learned about the anti-coagulant properties of leech saliva: leech bites don’t readily stop bleeding because the creature injects hirudin, an chemical that prevents the blood from clotting. The wound didn’t hurt—I am told the clever leech employs an anesthetic as well as an anti-coagulant. It would never do to annoy a mammal to the point it would forcibly remove the animal feeding off it. : better to feed quietly and drop off to browse, sated with food and satisfied for any number of months to come. This predator leech—the word “predator” is more appropriate than “parasite” since it feeds for only minutes instead of days and months—was Macrobdella decora, the American medicinal leech, the red-bellied leech. As its name implies, it sports an attractively decorated array of red spots, a possible design pattern for a necktie or a scarf. The animal is a distant relative of the earthworm with its concentric rings that encircle its body, marking off no fewer than 34 segments. While the practice of leeching, using leeches to bleed patients, has fallen into disfavor since the nineteenth century, it still is occasionally employed in modern medicine whenever it is necessary to increase circulation to a blood-starved part of the body such as a newly reattached finger that has been accidently cut off, for example. I remember distinctly that in our own Munson hospital not too many years ago, a young girl had a finger reattached and submitted to treatment with leeches. “It’s kissing my finger,” she would tell visitors. Indeed, in a way, it was. Most leeches do not feed upon mammals, preferring frogs, fish, and, especially, snapping turtles. Some do not attack large animals at all, being satisfied with earthworms and smaller creatures found in water. 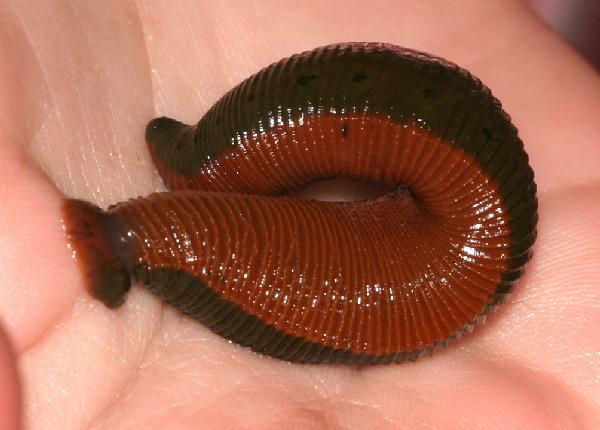 One of the largest leeches to be found in the area, its body extending a full six inches or more, seldom feeds on humans or their pets–the horse leech, Haemopis marmorata. 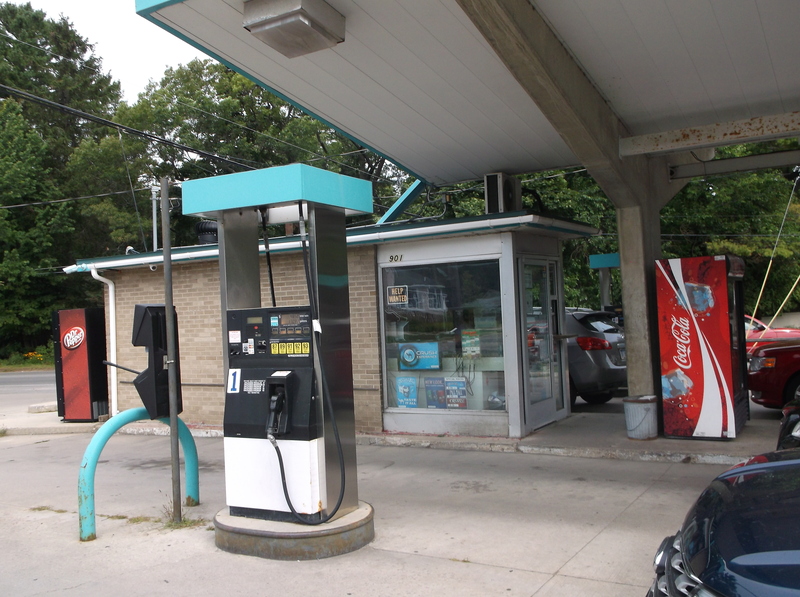 I have observed this creature in Lime Lake, Leelanau County, where it can be seen rapidly scudding across the marly bottom, fully as capable of swimming as a fish. Haemopis sanguisuga, or horse leech. Image courtesy of H. Krisp, Wikimedia Commons. 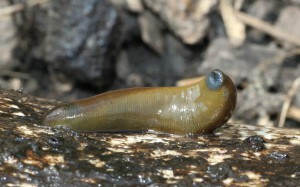 Horse leeches sometimes are found on mud at the edge of the water. If they are grabbed to use for bait—as bass or walleye fishermen will occasionally do—they will readily try to climb out of the bucket, unlike other more docile species. Leeches are given a bad rap. They seldom bite, they do not spread disease, they have medical uses, and they make good bait. However, the idea of having our blood sucked does not go down well with us. We despise things that do that–mosquitoes, black flies, or biting midges—and we cut them no slack. Perhaps, we should, though, with leeches. After all, they do us little harm–much less than mosquitoes—and at least one of them, Macrobdella decora, looks terrific! Header image courtesy of Tim Eisele at “The Backyard Arthropod Project”, American Medical Leech. Grand Traverse Bay, the Loch Ness of Northern Michigan? People in general are fascinated by the unknown: Bigfoot, Loch Ness, and UFOs. What is it about the unexplained that keeps us interested? 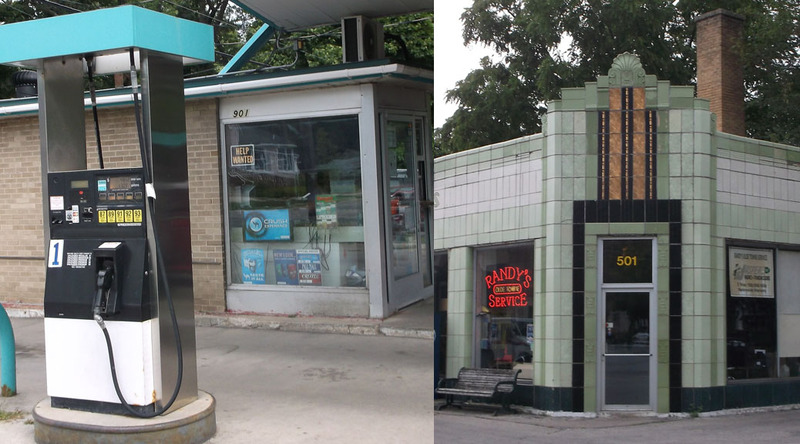 Historically, our region is no exception. Around the turn of the twentieth century, sightings of strange creatures in the waters of Northern Michigan were quite common- some real, most imagined. 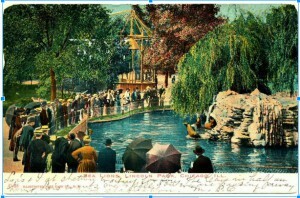 The best known at the time was the famous sea serpent of Petoskey, which showed itself in Little Traverse Bay for several summers in the 1890s and became a novelty that resorters looked forward to each summer. The mystery was solved in 1895 when it was discovered to be nothing more than a “very crooked tree trunk that has been beating about in Little Traverse Bay for years. Its peculiar shape and the fact that it had become black with slime…gave it a very serpent-like appearance.” The Petoskey sea serpent was celebrated for many years even after its real identity was discovered. Their baseball team was even called the Petoskey Sea Serpents— complete with a plaster serpent mascot that traveled with the team. Other creature sightings occurred at various resort areas such as Omena and Harbor Springs. Most people made light of the sightings and it was all for fun. Distinguished Monster Here for his Annual Outing Near Omena. The resort business of the north is now assured as the regular summer attraction has arrived and has begun daily performances near Omena. The Sea Serpent, which has been so minutely described by summer visitors for several years, made his first appearance a few days ago and was seen by two carpenters working at Omena Inn. He seems to be in the best of health and looks as if he had enjoyed life the past few months. Just what his scheduled program for the summer will be the Eagle has been unable to learn but he will no doubt be friendly at all the ports and pay Traverse City a visit too.” [Daily Eagle June 1898]. Word started to spread that perhaps this creature was “Big Ben” a trained, performing sea lion that had escaped in November, 1903 from the Lincoln Park Zoo in Chicago. The Big Ben story made news all across the midwest and sightings continued for more than seven years after he escaped. 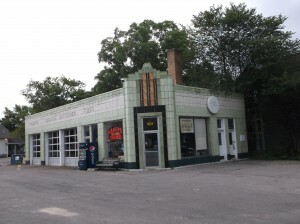 The incident fueled a series of articles, mostly in Chicago papers –which were widely read by Traverse City citizens– that played up the escape as a humorous event, humanizing the animal and making light of the “motives” of his escape. One poked fun about the animal refusing to return to the zoo until he got union representation and a “nine hour day”, and many others that related sightings to the over-consumption of alcohol. 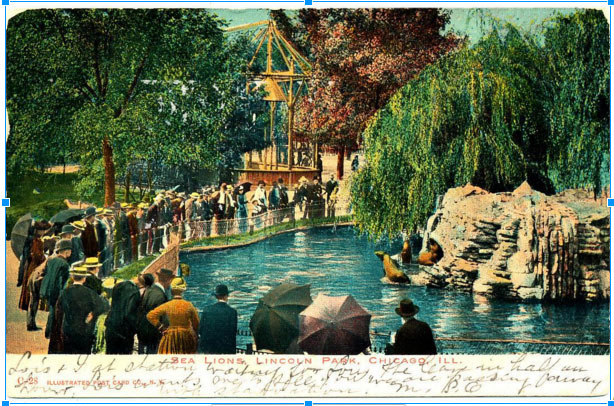 The legend of the absentee sea lion of Lincoln Park lived on in the press for many years. Several reports of his death were announced beginning in 1904 when his body was supposedly found on a beach fifteen miles south of St. Joseph, Mich., and obituaries continuing as late as 1910 when it was proclaimed that the sea lion had been captured and killed by fishermen in Galveston Bay. 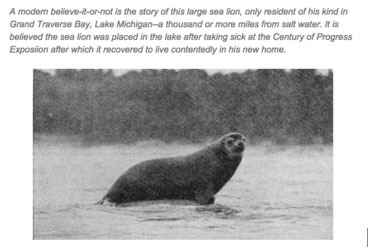 The real truth is most likely the earliest account and the 1907 Traverse City encounters with something that looked very much like a sea lion helped sustain the appeal of the missing animal. Sensational stories sold newspapers and continued “sightings” led to the story of Big Ben being drawn out for quite some time. For Traverse City, this story ends with the two 1907 sightings. Nothing more about the creature is reported, but the mystique of his fate remained and the question of whether an ocean animal could survive for an extended time in the waters of Northern Michigan was debated by many. In June 1935, another large aquatic mammal was spotted in the bay and confirmed to be a seal. Photographs were taken and the story of the animal made newspapers around the region, even featured in the October issue of Hunting & Fishing magazine. A humorous account of the 1935 sighting, written by Detroit News writer Herbert C. Garrison, was published in The News and in The Michigan Alumnus. That it was a sea-serpent …a sea lion…a walrus…a whale…an alcoholic mirage…Primo Carnera [Carnera was a professional boxer of very large size]… Purely in the interest of science, Mr. Sackett the other day determined to seek out the truth of these conflicting rumors, which have kept the neighborhood in a turmoil and have ruined the summer romance business on account of nobody daring to go out for moonlight sails…Sackett assembled himself a sea-going safari consisting of one outboard motor boat, one camera, one pack of films, one harpoon (for defense purposes only)….Sackett before leaving had imbibed only in two bottles of sarsaparilla and a hot dog (this to clear up any misunderstandings falling under the heading of Theory No. 5 above), the Ray C. Sackett Grand Traverse Bay Monster Expedition shoved off with a yo-heave-ho. We now turn to the the written record of the expedition in Mr. Sackett’s own hand, found floating in a sarsaparilla bottle which the intrepid commander dropped overboard to make sure the results of the expedition’s research would be preserved for posterity, even if the expedition itself failed to make shore… “We were proceeding with a spanking breeze on our quarter and approaching a large flat rock, about 500 yards offshore, when McGonigle, who was acting as look-out, sang out: ‘Monster Ho-o-o-o!’…I looked, and yessir there he was, sunning himself on the rock. McGonigle said it was a walrus. I said it was a seal. ‘It can’t be a seal,’ McGonigle pointed out. ‘He ain’t got no hat on. I’ve seen lots of seals in circuses. They always wear hats.’ Well, that was a stumper, until I finally got a great idea. ‘Throw the harpoon at him,’ I ordered. McGonigle threw. The monster caught the harpoon in its mouth, tossed it into the air, and balanced it on its nose when it came down….Then to cinch the matter, the seal looked toward me and distinctly said: ‘Werp!’ According to McGonigle, who hasn’t missed a circus since he could carry a pail of water, this is the old Forepaugh & Sells Bros seal dialect, now almost extinct, and means: ‘Brother, can you spare a herring?’’” Thus was the Grand Traverse Bay Monster identified. 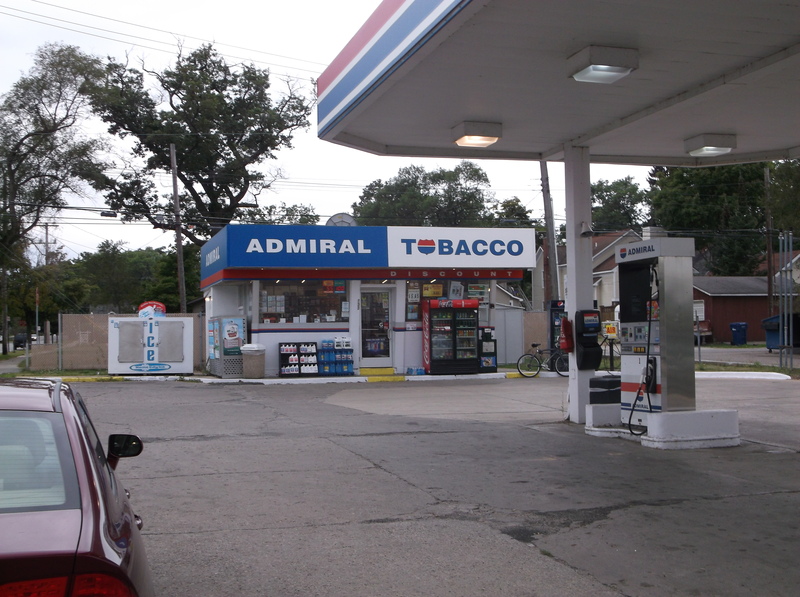 As to how he got here, I think I can clear up that point, too., I have been told there was a troupe of trained seals at the Chicago fair last year, and that one of the seals got into a rundown condition because of too much night life and was advised by his physician to take the baths. So he slipped off into Lake Michigan one night, and liked it so well he never came back. There were no further documented sightings of this particular animal and its fate is unknown. We are long overdue for another sea serpent sighting in the bay, but with today’s technology, the mystique of the unknown would likely be ruined. I think I’d prefer the mystery of whether it was real or imagined as it was a hundred years ago. 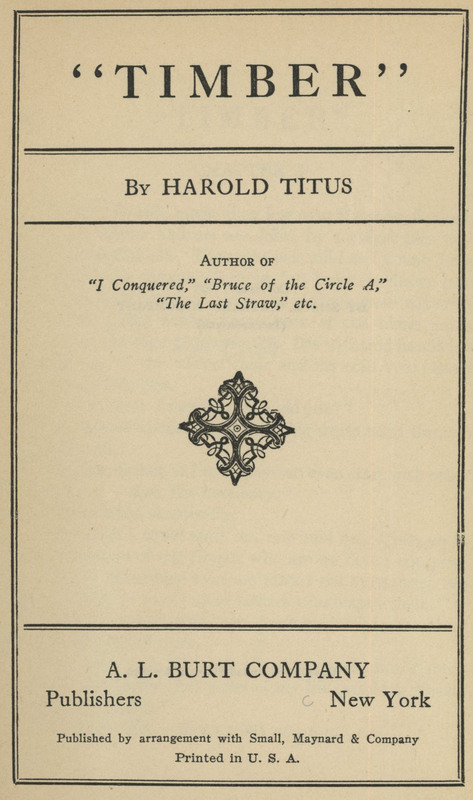 Harold Titus was a noted writer and conservationist, born in 1888, died in 1967. He wrote more than a dozen novels, among them “Timber,’ a work that expressed his lifelong interest in conservation. 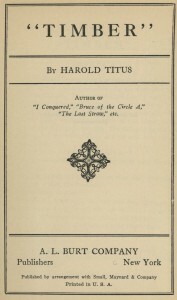 Titus was a founding member of the Izaak Walton League, established in the same year as the book appeared. 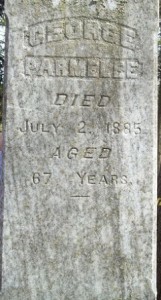 He is buried in Oakwood cemetery in Traverse City. In the following excerpt Helen Foraker, a character who speaks out for scientific management of forests, expresses her view (and Titus’s) of the importance of woodlands and the tragedy of their destruction. “Less than fifty years ago this land was stripped of its pine; today it is maturing another crop. The same could have been done with any other piece that grew good trees: Just keep the fire out and nature would have done much in time. Fire, fire, fire, without end! Every summer it eats across the plains country; every summer it does its damage on cutover lands in all the timber States. It not only destroys trees, but it takes the seed bearers and the seeds that lie ready to sprout and the life of the soil itself. 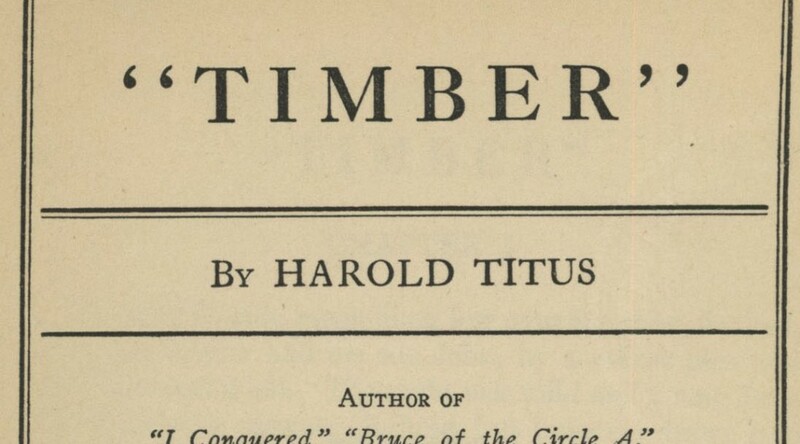 Excerpts taken from the 2nd printing of Timber. 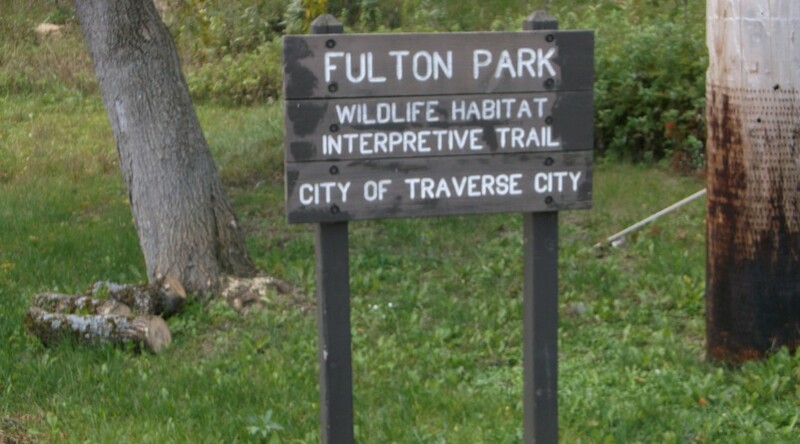 Copies of Timber are available for circulation through Traverse Area District Library. The book is also available free online through Hathi Digital Trust.